Check this out! 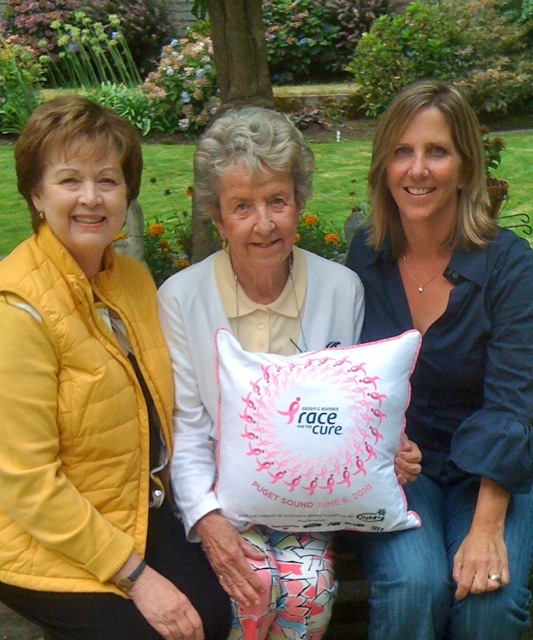 Nancy Szeliga made this lovely pillow for me out of one of the T-shirts from the E-Team (from the Komen Race for the Cure). Next postLife without Penny. . .
What a great idea Nancy! What a cute pillow!